A very popular thing to do over advent is to have some sort of activity that focuses your attention on Christ’s birth. I surveyed some friends and came away with a ton of fun, simple and creative ways to focus your family on Christ through the advent season. I’ll share some of these in today’s post. 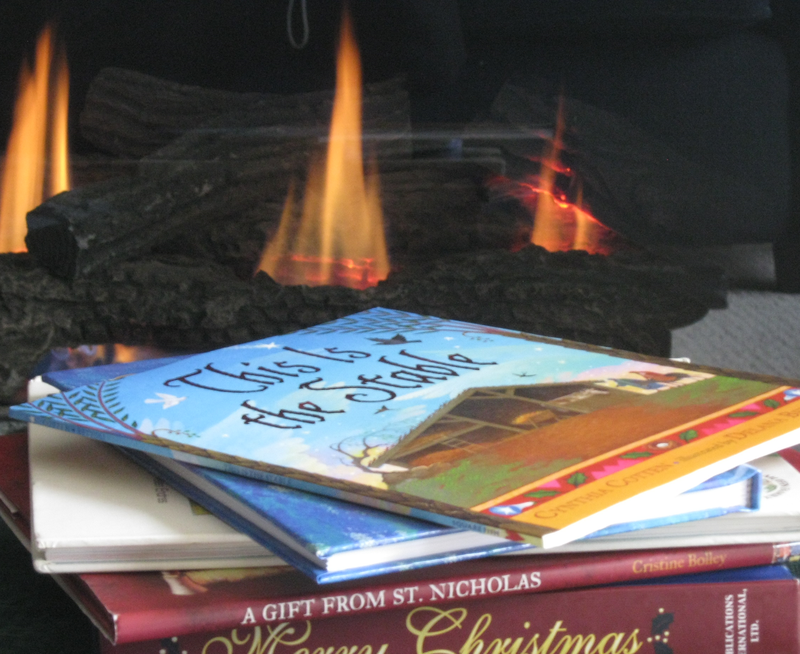 Read your way through advent. Wrap up all the Christmas books you have and pick one each day (or every few days, depending on how many you have!) to open and read. If your collection is thin, you can borrow books from the library as well. Kids love to hear the story of Jesus told in different ways. One year we added a few non-Christian Christmas books into the pile, and used them as a lesson about what Christmas is not about. Slowly build your nativity scene. Wrap up the pieces of your nativity set and hide one each day (or every few days) somewhere in the house for your children to find. If your nativity set does not have many figures, you can use some of your Christmas ornaments as well. Hide the figurines so that your kids find and build your nativity scene in the order of the Christmas account. Have them explain who/what each figuring represents and how it fits into the Christmas account. Have the final figurine – the one of Jesus in the manger – wrapped under your Christmas tree to be opened as your first present on Christmas morning. Emphasize that Jesus is God’s gift to us at Christmas, and the most important present that anyone will ever receive. Buy a toy nativity scene for your children to play with. This provides your children with an opportunity to act out the Christmas account for you and/or other family over advent. Many toy brands have a nativity sets for children, including Little People and Playmobil. You could use this toy set in the activity above (‘Slowly build you nativity scene’) instead of using a breakable set. Use an advent wreath with candles. There are many different advent readings that incorporate an advent wreath. Focus on the Family has shared a simple advent reading guide suitable for younger children here. Create your own advent calendar. There are about a bazillion ways to make (or buy) an advent calendar that you can fill with your own ideas and activities (just check out Pinterest). Place a note inside each opening of the advent calendar that outlines an activity for each day. These could be a combination of the above mentioned ideas (reading Christmas stories, sending gifts to the poor, performing the Christmas story, making tree decorations that link to the real meaning of Christmas), as well as object lessons or discussions on what Christmas is really all about. Truth in the Tinsel is an ebook with daily scriptures and simple crafts that keeps the focus on the coming of Jesus and the prophesies that foretold His birth. It is intended for pre-school and kindergarten-aged children and would provide more ideas for you to use. Discover the origin of our Christmas traditions. Many of our Christmas traditions, including the Christmas tree, the colours, the candy cane, giving gifts, lights on Christmas trees, etc. were initiated by Christians and have specific meanings behind them. Discover these for yourself online at sites such like this one by Crosswalk, or order Lisa Whelchel’s book: The ADVENTure of Christmas, which explains 25 traditions as well as providing an activity for each. Come back next week for lots more ideas for Keeping Christ in Christmas! Please send me an email if you have an idea to share with us!